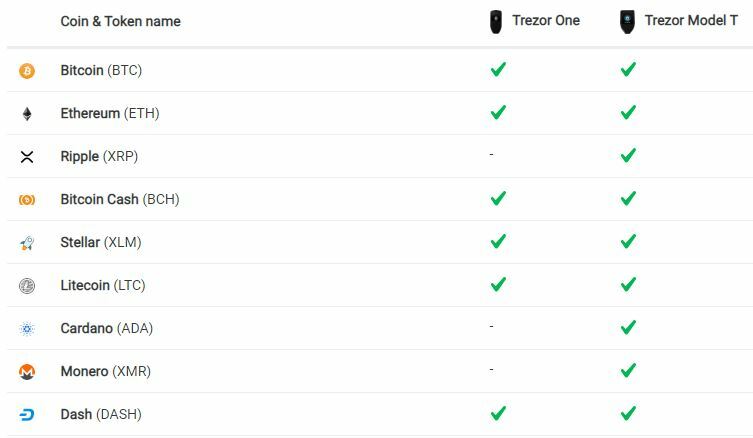 Home » Reviews » Wallets » Trezor Review: 10 Reasons to Buy Trezor Wallet! If you’re like me, collecting as many free tokens as possible, then you need a reliable wallet. Over the years, I had the opportunity to try different kinds of cryptocurrency wallets. But lately, I’ve been solely using my Trezor bitcoin wallet. And I’m very happy with it. Because it makes it easy for me to join hundreds of cryptocurrency airdrops. This is definitely my best hardware wallet. Don’t trust me? Then check out my Trezor wallet review below. And you’ll understand why you should seriously consider it to store your cryptocoins and tokens. First of all, if you’ve never heard of it, here’s a brief introduction. Satoshi Labs, a Czech company, released their Trezor device in January 2014. It was one of the first hardware cryptocurrency wallets to hit the market. And it quickly grew in popularity. Indeed, users loved the product. And they were thrilled to recommend it to their friends. Not to mention that the Trezor wallet reviews were really good. The company recently launched a new model. And users now have the choice between Trezor One and Trezor Model T. While the first one is the gold standard, the second one is a premium version with additional features. I bought mine last year. So, my Trezor wallet review is more related to the first generation. But the Model T looks great – I just don’t have the need to upgrade yet. And I’ll update this article when I get it! So, when you receive the clean-looking black package, verify that the holograms haven’t been tampered with. The company glued the box together – it’s impossible to open it without tearing them apart. And if the package is damaged, I’d recommend you to return it to Satoshi Labs immediately. While the process is straightforward, you can find the whole process to get started in their guide. And I won’t spend time on the setup process in this Trezor wallet review. Feel free to contact their support or do a quick Google search if you need help. But everything’s user-friendly. And I’me sure you can handle it, even if you’re not tech savvy. But let’s talk about their web interface. It’s well designed, with two tabs and the list of currencies on the left. And even if you’re new to crypto, you’ll understand how it works in no time. When you switch to a crypto, you can check your transactions, receive and send funds. While you can use Trezor with third-party interfaces and services, like Electrum, I’d recommend setting up the device directly in the web interface. As I mentioned above, experts reviews have acclaimed this product. Because I’m no security specialist, I rely on the community and the experts who audited the device. And it has a reputation as a secure and transparent device, unlike some of their competitors’. Indeed, you can check both hardware and firm on GitHub, as everything’s open source and publicly available. 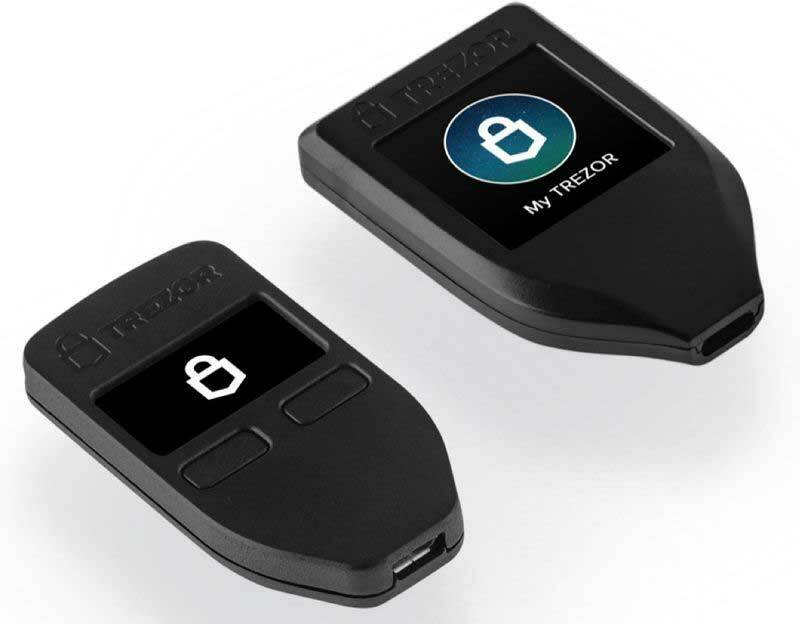 When I write this Trezor wallet review, there are over 700 coins and tokens that are supported by this cold wallet. And that’s more than any of their competitors. Name it, you got it: Bitcoin, ethereum, litecoin, dash, ripple, etc. 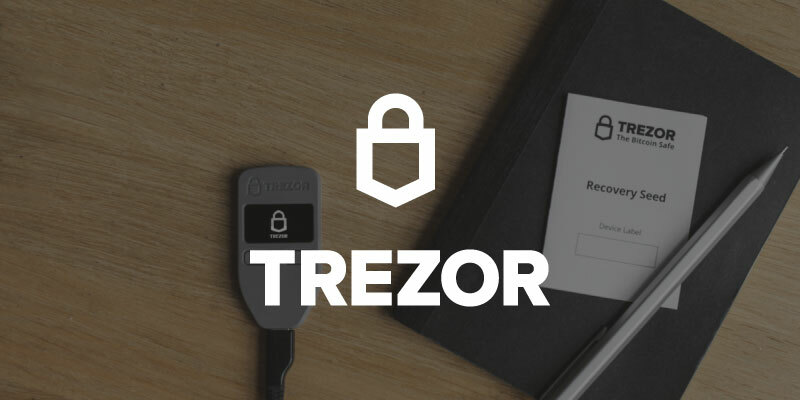 You can even check the list of all the coins and tokens Trezor supports here. Trezor price: How much does it cost? With the launch of the Model T, the One’s price has recently gone down. And it now costs 69 EUR (or about 79 USD). If you want to get the premium model, it will cost you 149 EUR (or about 169 USD). You can find the comparison of the two products side by side on their website. Thank you for reading my Trezor review! I hope it’s detailed enough for you to make up your mind about Trezor hardware wallet. If you’re looking for the best hardware wallet, look no further. Because you’ve found it. This is the product you need to keep your cryptos safe.